It was a back-flip worthy of the Olympics. But hereâ€™s what Denike told CBC.ca news the next day: “It’s time to do it.” On Wednesday, Sept. 26, he said, “I think it’s important to do it fairly soon while we’ve got motivation and interest in schools. Students have also been pushing for the change.â€ Denike promised a review by the School Board of the possibility of a district-wide recycling program. Last spring, students from Lord Tennyson Elementary and Lord Byng Secondary made a presentation to Vancouver School Board committees on the topic of recycling and overall sustainability in schools. Gregson told CBC.ca news that it will take time for a standard recycling program to be voted on by the School Board. First funding will have to be found and then the issue will have to be discussed at appropriate committees. 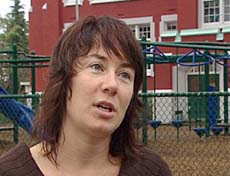 Gregson says that the issue of recycling got backgrounded as trustees have been focused on other issues lately, such as â€œa lack of adequate funding from Victoria, the problem of last yearâ€™s lower than expected enrollment, the problem of facilities that need to be seismically upgraded.â€ She avoided any mention of the international boycott of Grade 12 diplomas that the VSB was accused in the media last week of concealing from parents. The boycott has some parents looking to next year’s election, when even a new recycling program may not be enough to save this School Board from ending up in electoral landfill. No user commented in " Vancouver Teachers Demand Recycling in Schools "